A new study by Tove Fall and colleagues shows that dog owners had a lower risk of death. Here with her dog Vega. A team of Swedish scientists have used national registries of more than 3.4 million Swedes aged 40 to 80 to study the association between dog ownership and cardiovascular health. Their study shows that dog owners had a lower risk of death due to cardiovascular disease or to other causes during the 12-year follow-up. A total of more than 3.4 million individuals without any prior cardiovascular disease in 2001 were included in the researchers’ study linking together seven different national data sources, including two dog ownership registers. The goal was to determine whether dog owners had a different risk of cardiovascular disease and death than non-dog owners. “A very interesting finding in our study was that dog ownership was especially prominent as a protective factor in persons living alone, which is a group reported previously to be at higher risk of cardiovascular disease and death than those living in a multi-person household. Perhaps a dog may stand in as an important family member in the single households. The results showed that single dog owners had a 33% reduction in risk of death and 11% reduction in risk of myocardial infarction during follow-up compared to single non-owners. Another interesting finding was that owners to dogs from breed groups originally bred for hunting were most protected,” says Mwenya Mubanga, lead junior author of the study and PhD student at the Department of Medical Sciences and the Science for Life Laboratory, Uppsala University. In Sweden, every person carries a unique personal identity number. Every visit to a hospital is recorded in national databases, accessible to researchers after de-identification of data. Even dog ownership registration has been mandatory in Sweden since 2001. These scientists studied whether being registered as a dog-owner was associated with later diagnosis of cardiovascular disease or death from any cause. “These kinds of epidemiological studies look for associations in large populations but do not provide answers on whether and how dogs could protect from cardiovascular disease. We know that dog owners in general have a higher level of physical activity, which could be one explanation to the observed results. Other explanations include an increased well-being and social contacts or effects of the dog on the bacterial microbiome in the owner,” says Tove Fall, senior author of the study and Associate Professor in Epidemiology at the Department of Medical Sciences and the Science for Life Laboratory, Uppsala University. “There might also be differences between owners and non-owners already before buying a dog, which could have influenced our results, such as those people choosing to get a dog tending to be more active and of better health. 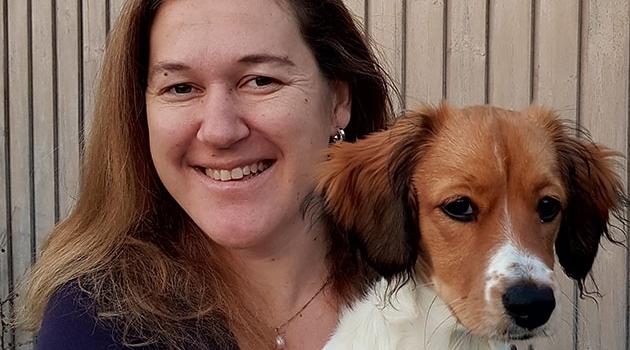 Thanks to the population-based design, our results are generalisable to the Swedish population, and probably also to other European populations with similar culture regarding dog ownership,” says Tove Fall. The study was conducted by researchers at Uppsala University, Karolinska Institutet, Stanford University and the Swedish University of Agricultural Sciences. Financial support was provided by the Swedish Research Council for Environment, Agricultural Sciences and Spatial Planning (FORMAS), grant number 2013-1673, Agria and SKK Research Foundation and the Göran Gustafsson Foundation.